So let my woeful winter’s tale begin, my mother hates Christmas full stop. Huddled in the corner and unwelcomed into the living room, our grey white Christmas tree has just gone up and it looks a sorry sight. As a stranger dressed in rags, it longs for a fairy godmother. The baubles mismatched and cracked from far distant 90s’ beauty. The tinsel wrapped around like thistle, suffocating any present joy. Lights blown, chocolates eaten and golden beads knotted. And the star… is literally a fallen star. I’m afraid my mother has cursed Christmas and she has made me a mini Scrooge! I’m starting to lose enthusiasm of gift shopping, smiling because it’s simply Christmas or decorating the work office. However, the love for Christmas isn’t all lost, I’m more than happy to join in the parties and already bought my supply of cider and Pimm’s for winter survival. Guessing I need some theatre loving, I was invited to experience a fairytale in London: A Christmas Carol with the London Musical Theatre Orchestra (LMTO), without the boozy voice. 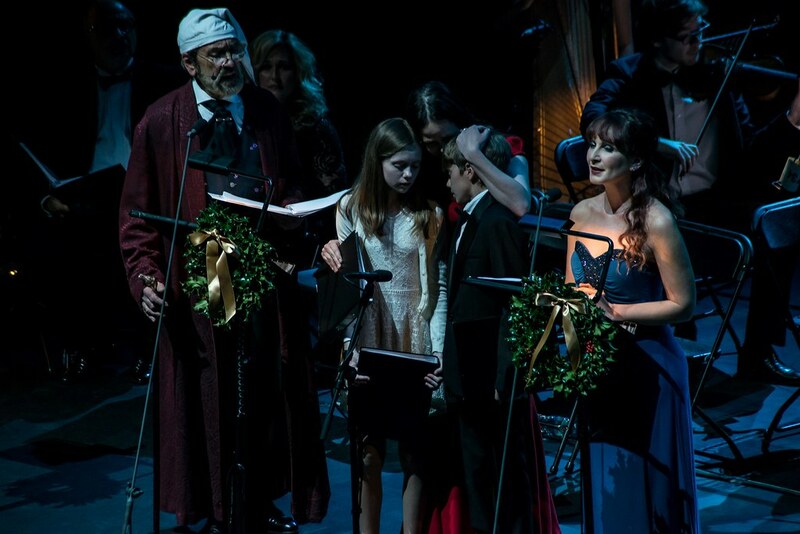 After decade-long success at New York’s Paramount Theatre in Madison Square Garden, A Christmas Carol comes to the London stage in glorious concert format for the very first time backed by the 32-strong London Musical Theatre Orchestra and performed by a star-studded West End cast. This spectacular musical adaptation of one of Charles Dickens’ most famous stories gets the full Broadway treatment by the Broadway team of Alan Menken (Beauty and the Beast, Little Mermaid), Lynn Ahrens (Ragtime, Seussical) and Mike Ockrent (Crazy For You, Me and My Girl). 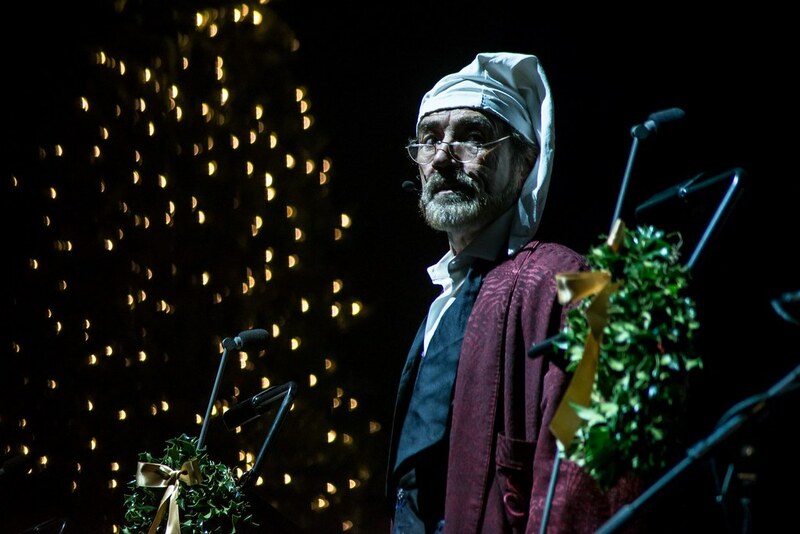 Called by The New York Times “a tonic for adults, and for children a transfixing journey,” A Christmas Carol is the warm-hearted kick-start to the Christmas week for all the family. Away in the Lyceum Theatre, I escaped the humbug’s hideout and forced myself to wear a black sparkly jumper to commemorate the death of Christmas in my household…But O Holy Night! The LMTO sleighed the gloom and silenced the night with such an almighty orchestral force. Tears in the eyes, there is nothing better than bathing in the musical notes, rocking around the Christmas trees. Wanting to turn towards my friend and ask “Do you hear what I hear?”, the instruments were nattering with melody and drove lyrical beauty home for Christmas. Conducted by Freddie Tapner, his baton levitated melodies right into the upper circle. With such a beautiful grace, cheeky comedy reliefs and epic execution, Tapner and his Orchestra and Ensemble gift wrapped the cast with a perfected bow. Experiencing my first classical concert, the powers of wind and string blew the mind and made me appreciate simplicity, rather the razzmatazz of a starry cast. It certainly was the most wonderful time of the year. Remembering his Dirty Rotten Scoundrels’ performance, Robert Lindsay upped the class with comedy gold as Ebenezer Scrooge. Wandering in a moody character yet the loveable twinkle remains in his eye, he brought the Dickens’ story from page to the stage. Ripping away from the music stands, his enthusiasm towards Scrooge as a fellow and foe reigned high praise. As an iconic legend, Lindsay embodies a great actor who salutes to the past, remains current in the present and excites the future. 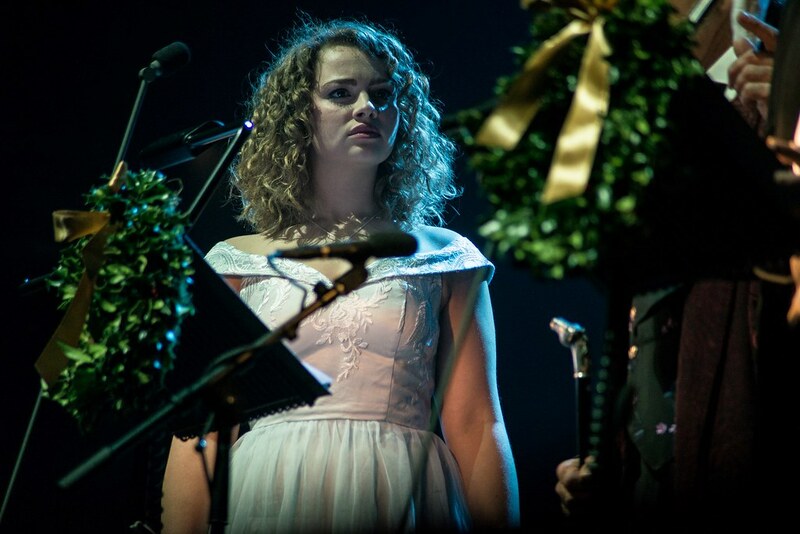 Carrie Hope Fletcher was the angel missing from my Christmas tree. Hark! Forget the herald angels, this girl can sing and belt Santa’s hat off. As Emily, Blind Old Hag and the Ghost of Christmas Future, I now know why West End loves her – she can handle any role with confidence and beauty. The lady in red, Giovanna Fletcher, brought the maternal warmth with her soothing smooth soul. Her presence cemented the importance of a strong, loving family unit. As Mrs Cratchit, she huddled with Bob Cratchit (Alex Gaumond) and the very cute Tiny Tim (Tobias Ungleson). This picture perfect family was one to be adored by all. All members of the cast, John Addison, Madalena Alberto, Norman Bowman, Hugh Maynard, Gina Murray, Peter Polycarpou, Sylvie Erskine, Luka Green and Amy Snudden, deserve a mention and a virtual round of applause too. As a wonderful group of storytellers, they performed A Christmas Carol with a thrilling, excited eek in the seat. As the cast sat and waited their turn to the music stand and mic, they never broke from character. The occasional transfer of a smile and helping hand of folders described the friendship of the team. It’s probably clear to read I’ve fallen in love with the LMTO’s performance, but their passion towards the bond of Musical Theatre and the Orchestra is a long lost love story never told. I often see classical concerts appealing to the “older” generation and this marketing arrow targets the heart and deeply saddens me. Relying on the same piece of music, the comfortable rut never ends and the question of truth or dare hangs over the future of classical concerts. BUT these guys get the 21st Century It. They break down this visible wall of pompous distance and celebrate their music through story and relief. They seek talented stars, who they recognise and believe in, to help them preach their message towards a modern audience. A Christmas Carol restored my faith in Christmassy classicals…and the humbug within me has vanished. So, all I want for Christmas is…another chance to the LMTO again…and perhaps take the mother next time. 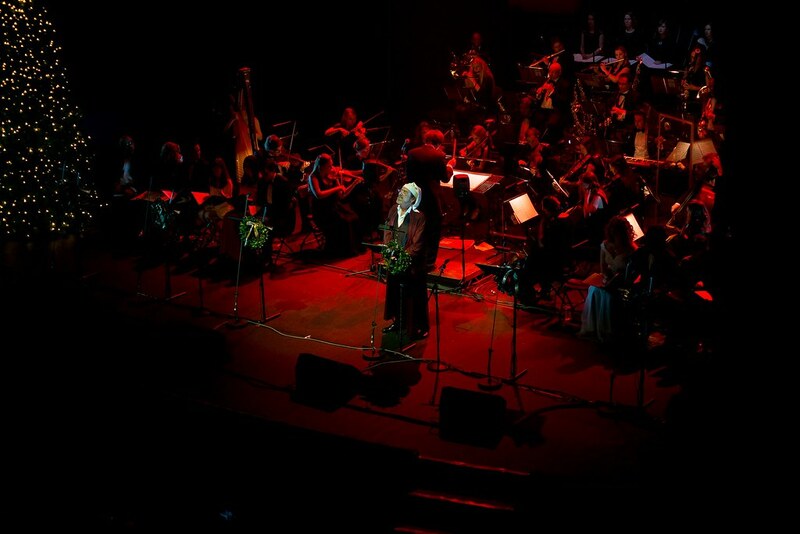 Find out more about the London Musical Theatre Orchestra here.